Quick access to great beef recipes right from your Dashboard. Is there a better alternative to Top 10 Beef Recipes? Is Top 10 Beef Recipes really the best app in System category? Will Top 10 Beef Recipes work good on macOS 10.13.4? 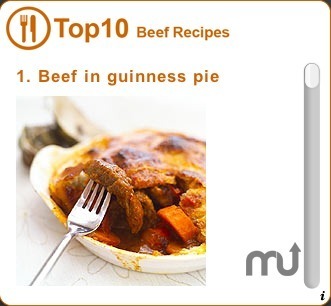 Top 10 Beef Recipes lets you discover the best beef recipes right from your Dashboard. Top 10 Beef Recipes needs a review. Be the first to review this app and get the discussion started! Top 10 Beef Recipes needs a rating. Be the first to rate this app and get the discussion started!